my friend munster: Review Time! Lush's Candy Mountain. Review Time! Lush's Candy Mountain. Having recently been diagnosed with Fibromyalgia, I've really become a sucker for long soaks in toasty bathtubs when my muscles and joints are really sore, and so at the same time I've also become a sucker for a good bath bomb. 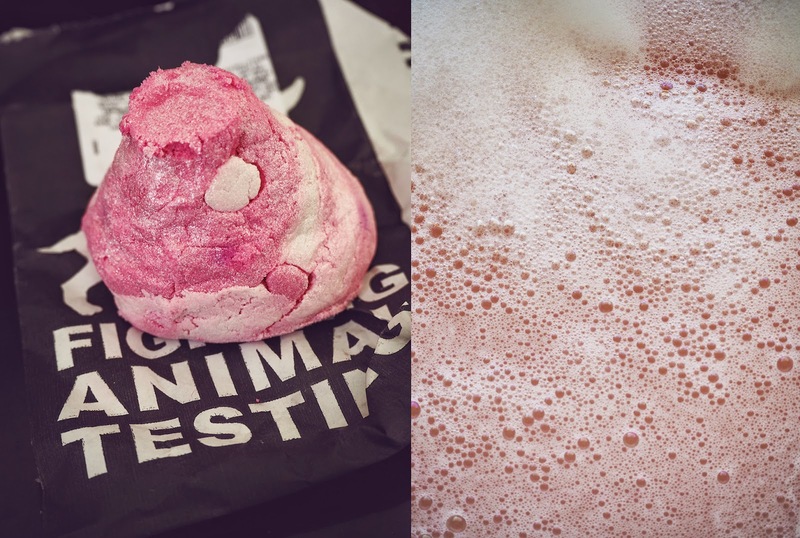 I'm definitely behind the times when it comes to the Lush wagon - having only hitched a ride on it when my friends Caitlin & Lily gave me a variety of products for my birthday - but I'm definitely making up for lost time and I thought I'd share my thoughts on my favourite product so far, the Candy Mountain Bubble Bar. 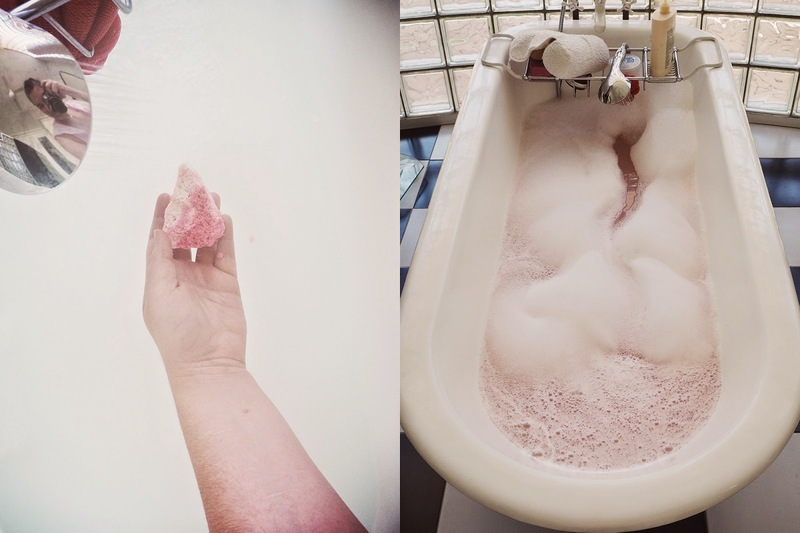 "Make bathtime an even sweeter time with this pink peak of a bubble bar. Crumble this under running water for mountains of glistening bubbles topped with a magical pink mist. The candy scent wafting through the steam includes Fair Trade vanilla absolute, wrapping you in a comforting embrace. If you like the fragrance of our Rock Star soap and Creamy Candy bubble bar, you're in for a treat." I don't really know how I would describe the scent myself other than sweet. Super super sweet, but not sickeningly so. It's the kind of sweet that warms your insides and makes you melt into a big gooey pile of marshmallow fluff. The bar itself looks a little bit like, for lack of a better term, a space fairy's poop haha, but that's okay because when you crumble it under running water it turns your bath into a magical soak the colour of a strawberry milkshake, with peaks of bubbles robust enough to make some of the most impressive bubble beards. The bubbles last between forty minutes to an hour for me, which is plenty of time to soak away the niggly aches and watch a couple of my favourite Parks & Recreation episodes. A 100g lump is only $6.50, and I've found that I can get a couple of baths out of one bar, so it really is an affordable luxury. So what're you waiting for? Treat Yo Self! Firstly, that is a very cool bathtub! Secondly: I've always been interested in Lush's products, but I've so often heard that they're not as cruelty-free as they claim which is quite upsetting.